There Is Hardly Anything More Painful And Relaxing At The Same Time Than A Traditional Thai Massage By A Petite Thai Lady. Thailand Is Truly One Of The Greatest Places In The World and there’s a million reasons why you should live here. One of them is the traditional Thai massage! Traditional Thai massages actually are a way of life in Thailand. People believe it is an essential part of good health. Nothing relaxes your mind and body so well as an excellent traditional Thai massage. Fortunately, there’s a traditional Thai massage center around every corner in Thailand. The real beauty of traditional Thai massage is the price. In Western countries 30 minutes of massage can cost $40 U.S. and more. In Thailand a one hour foot massage typically goes for about 250 baht. At today’s exchange rate that’s $8 U.S! That’s an incredible value. What Kind Of Traditional Thai Massage Should You Select? When you find a nice spa you need to decide on the kind of massage you’d like. They basically boil down to three kinds. Foot and Head massage, traditional Thai Massage, or Oil Massage. What’s the difference between them? A foot massage is a fantastic way to rejuvenate tired feet. After a full day of work or shopping nothing feels better. I like to have to one when I’m feeling exhausted. I sit back in a reclining chair and enjoy a foot massage along with a little nap. I find a 90 minute foot massage is perfect. It’s called a foot massage but it commonly includes a leg massage, and about ten minutes massaging the shoulders and head as well. If you prefer more time on your shoulders just ask because they are usually very flexible. I sometimes ask them to spend the entire time on my feet. You can also request the pressure level you’d like. Some people like a soft caressing massage while others prefer a hard massage. You’ll know what works for you after a couple visits. In Case The Traditional Thai Massage Is Too Hard For You, You Can Always Opt For An Oil Massage. The Famous traditional Thai Massage. What Is It? 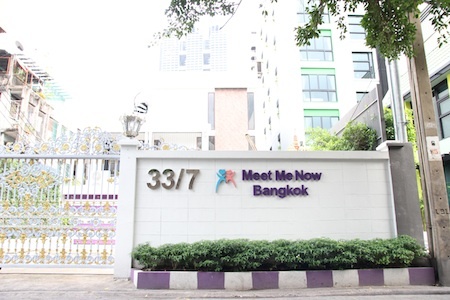 The next massage they offer is the famous traditional Thai massage. It’s like a combination of massage, chiropractic, and yoga all in one but they do all the work for you. They do a lot of stretching and manipulating of your joints and spine. Sometimes they’ll balance themselves while they walk on your back. During the traditional Thai massage there’s also a move where they press their knees into your back and roll you backwards over them. It’s a full body work-out and you’ll be hard-pressed to sleep through this one. If you’re not particularly flexible or if you suffer from joint pain you may want to avoid the traditional Thai massage. In that case I recommend the oil massage. Do You Have Muscle Or Joint Pain? Oil Massage Is Good For You. If the traditional Thai massage is too hard for you opt for the oil massage. The oil massage is closer to what people are accustomed to in the West. They apply massage oil and give a deep tissue massage. It’s great for working knots out of your muscles and relieving muscle pain from sports injuries. It’s also nice if you prefer to lay on the table and nap during your massage. Again, you can request a hard or soft massage. Oil massage is more expensive than the foot and Thai massage. Even so, at $12-15 it’s still a terrific bargain. Sometimes it’s worth it to pay for two hours and pamper yourself. How often should you treat yourself? Two or three times a week is good because the price of massage in Thailand is so incredibly reasonable. 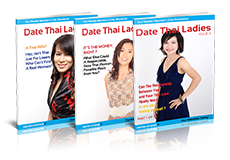 Couple the price with the easy availability anywhere in Thailand and it’s a great way to indulge yourself while you live in The Land of Smiles. If you want to live like a King in Thailand a regular traditional Thai massage is a great part of the lifestyle.